Would Lincoln Have Survived If He Was Shot Today? Abraham Lincoln often spoke and dreamed about being assassinated, convinced that he would not outlast the rebellion when his work would have been done. Prior to his inauguration, he received letters warning him that he would be killed before reaching Washington. After he died an envelope with eighty such letters was found among his eﬀects, and although twice while president he had his hat shot from his head by unknown assailants, he deprecated all attempts to guard his life. An assassin’s bullet ﬁnally found him on April 15, 1865, during a performance of Our American Cousin at Ford’s Theatre in Washington, DC. He was seated in a private box when shot with a .44-caliber bullet ﬁred from a Derringer at close range. The bullet entered the back of his skull to the left of the midline and just above the left lateral sinus (a large venous channel that drains blood from the left side of the brain), which it severed. It penetrated the dura mater (the outermost membrane covering the brain), passed through the left posterior lobe of the brain into the left lateral ventricle, and came to rest in the white matter, just above the anterior portion of the left corpus striatum. It fractured both orbital plates of the frontal bone, causing the eye sockets to become engorged with blood and pushing fragments of bone into the brain. Dr. Charles A. Leale, a 23-year-old assistant surgeon, U.S. Volunteers, reached the patient within minutes of the shooting and was accosted immediately by a distraught First Lady crying: “Oh, physician! Is he dead? Can he recover?” The President was not yet dead. However, after a cursory examination, Leale announced: “His wound is mortal; it is impossible for him to recover.” At 7:20 a.m., Abraham Lincoln, 16th president of the United States of America, breathed his last, and his spirit ﬂed to God who gave it. Why Lincoln died is no mystery. His wound, as Dr. Leale predicted, was mortal, because in 1865 little could be done for patients with such wounds. Today modern advances in trauma care have greatly expanded our capacity to manage traumatic brain injuries and have radically altered the prognosis of patients with injuries like Lincoln’s. Could these techniques have saved Lincoln if they had been available in 1865, and if so, what would he have been capable of in the aftermath of such care? These questions were addressed in 2007 by Dr. Thomas M. Scalea, director of the R. Adams Cowley Shock Trauma Center, the world’s oldest such center, at the University of Maryland School of Medicine, during the school’s bicentennial celebration. Dr. Scalea believes that recent advancements in trauma care discussed below would not only have saved Lincoln’s life, but would also have restored much of the President’s neurological function. Lincoln was shot in the left occiput at close range with a relatively low-velocity bullet. Two young physicians, Dr. Charles Leale, who had graduated from medical school only days before the shooting, and Dr. Charles Taft, just 30 years old, cared for Lincoln. In accordance with the medical practice of the day, they repeatedly probed the President’s wound to prevent blood from accumulating within the skull and compressing his brain. For a time, this maneuver relieved Lincoln’s respiratory distress. Lincoln’s initial symptoms and his dilated left pupil were caused by cerebral herniation—displacement and compression of vital areas of the brain by blood and edema ﬂuid accumulating within his skull. His physicians remarked that “as long as bleeding continued, the President’s condition remained stable. 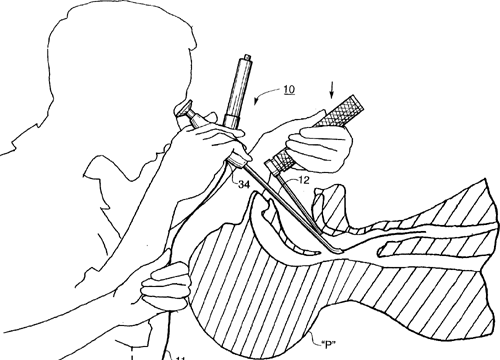 When the ﬂow stopped, the vital signs weakened … It would produce signs of increased compression. The breathing became stertorous and intermittent, and the pulse became more feeble and irregular.” The most likely path of the bullet that killed Lincoln was through the left lateral sinus. As it traveled through the brain, it created pressure waves that damaged the brain stem (the upper spinal cord). It also produced intraventricular hemorrhage (bleeding into the inner cavities of the brain), a deep laceration of the left cerebral hemisphere, and bilateral subdural hematomas (pools of blood collected on the surface of the brain). In time, these primary injuries (i.e., those occurring at the time of impact) were likely magniﬁed by inadequate delivery of oxygen to the brain resulting from repeated episodes of hypotension and the president’s irregular breathing. This, in turn, caused pressure within the skull (the intracranial pressure [ICP]) to rise, producing additional (secondary) damage to the brain. Lincoln’s intracerebral hemorrhaging would have caused his ICP to soar. Whereas repeated probing of his wound allowed blood to escape from his skull and for a time relieved his elevated ICP, it also contributed to substantial blood loss. 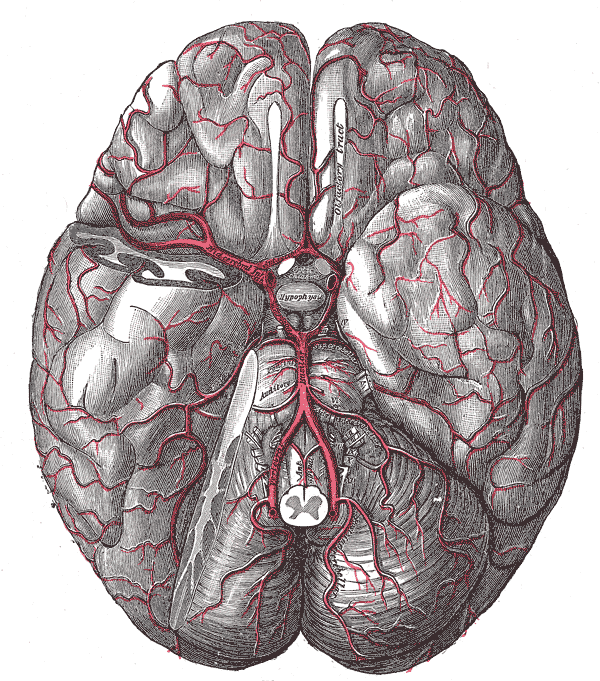 The brain is an extremely vascular organ and when injured bleeds profusely. In fact, Lincoln’s attendants commented that his sheets were crimson and his bed surrounded by a pool of blood. Thus, it is likely that he died because of both cerebral herniation and massive hemorrhaging. Modern trauma care involves a continuum of activities that can be artiﬁcially divided into several phases. The process begins with a preliminary assessment of the patient at the scene of the injury and application of stabilization measures, such as assisted respiration and the administration of intravenous ﬂuids. Appropriate patients are then quickly transported to trauma centers for special- ized care. At the trauma center, another examination is performed to identify immediately life-threatening injuries, which are dealt with as discovered. Next, resuscitation measures as, for example, blood transfusions in the case of Lincoln, are administered as needed, followed by a more systematic, head-to-toe physical examination and appropriate radiographic studies, after which deﬁnitive care is given. Today, a trauma system of this sort would be activated promptly if the President were injured. In fact, whenever the President leaves the White House, area trauma centers are alerted so that they are available immediately in case of illness or injury involving the chief executive. When the President travels in Maryland, the Shock Trauma Center at the University of Maryland is the one alerted and remains on standby, ready to provide care as needed. Although the advantages of stabilizing trauma patients in the ﬁeld, so-called “stay-and-play”, versus immediate transport to a trauma center, so-called “scoop-and-run”, might be debated in injuries as severe as Lincoln’s, there is no question that in an urban environment such as the Baltimore/Washington, DC area, with its trauma center literally just minutes away, the “scoop-and-run” option is the best. One might argue, for example, that patients with brain injuries of the magnitude of Lincoln’s should be intubated in the ﬁeld. However, in a recent survey of patients with severe brain injuries treated in the Maryland Trauma System, an organization with considerable airway-management experience, patients intubated upon arrival at the trauma center had a substantially better outcome than those intubated in the ﬁeld. Therefore, Lincoln would have been managed best initially by inserting an intravenous line, through which ﬂuids and blood might be administered, and by assisting his breathing, using a ventilation bag attached to a ventilation mask. Once he arrived at the Trauma Center, an endotracheal tube would have been inserted promptly into his upper airway by a trained anesthesiologist. Although hyperventilation (rapid forced ventilation) has traditionally been used to reduce brain swelling in patients with severe head injuries, it has not been shown to improve outcome. Hyperventilation does reduce ICP but, unfortunately, does so by diminishing the ﬂow of blood to the brain, which, in turn, reduces the amount of oxygen delivered to the brain. Nevertheless, in patients like Lincoln with impending herniation, hyperventilation is sometimes the only way of lowering ICP rapidly enough to prevent herniation. President Lincoln’s dilated left pupil reﬂected impending herniation and would have been treated initially with an intravenous concentrated salt solution to support his blood pressure and also to lower his ICP by drawing edema ﬂuid from his damaged brain back into the bloodstream. Because Lincoln’s ICP was almost certainly extremely high, he also would have been treated with modest hyperventilation. A chest x-ray would have been performed, along with an array of routine blood tests. After a third physical examination searching for previously unrecognized injuries, he would have been rushed to the computed tomography (CT) scanner for a deﬁnitive examination of his head injury. In that acute subdural hematomas must be evacuated promptly in patients with signs of impending herniation, Lincoln would next have been wheeled into the operating room for an emergency craniotomy, ideally within 15 minutes of his arrival in the Trauma Center. His surgery would have been performed by neurosurgeons continuously on call in a room permanently on standby for such emergencies. The neurosurgeons would evacuate the President’s hematomas, débride the bullet’s entrance wound, and repair the damaged dura. They would also place catheters inside his skull to monitor his ICP, cerebral blood ﬂow, and brain oxygen levels, as well as to remove cerebrospinal ﬂuid as needed to lower the ICP. Another head CT scan would be performed looking for evidence of further secondary damage requiring additional surgery. When all necessary surgery had been performed, the president would have been moved to an intensive care unit. Traumatic brain injury, even if unaccompanied by other injuries, is a systemic disorder in that it activates a neurohumoral cascade—a sequence of pathophysiological reactions involving hormones as well as nerves—capable of causing dysfunction of virtually every organ system. The circulatory system and the lungs are especially hard hit. In certain cases, a full-blown systemic inﬂammatory response ensues, resulting in intestinal dysfunction, renal failure, and a generalized capillary leak. Sometimes, patients develop a coagulopathy (inappropriate clotting of the blood), both as a consequence of clotting mediators released by injured brain tissues and as a complication of transfusions given to replace blood lost as a result of both the injury and surgery. While in the intensive care unit, Lincoln’s ICP, blood pressure, and blood oxy- gen level each would be monitored closely, with measures taken to optimize the ﬂow of blood and oxygen to his damaged brain. Antibiotics would be given to prevent infection, along with anticonvulsants to prevent seizures. Because traumatic brain injuries are associated with substantial tissue breakdown, not just at the site of the injury but throughout the body, early intravenous nutritional sup- port would be added to his treatments to facilitate healing. Sequential compression devices would be applied to his legs as soon as he was stabilized, along with low-molecular-weight heparin on the third postoperative day to prevent blood clots from forming in the deep veins of his legs. Some trauma patients develop dangerously high ICPs that are refractory to the measures listed above and require additional, more aggressive interventions to bring their ICP under control. One such intervention is decompressive craniectomy, in which a portion of the skull is removed and saved for possible replacement at a later date to permit the brain to swell unimpeded in the immediate aftermath of the injury. Because the skull is a rigid container, swelling of the brain or bleeding into it causes the ICP to increase. If it rises to a level greater than the pressure within the brain’s blood vessels, blood ﬂow to the brain ceases. In such cases, decompressive craniectomy may be the only eﬀective means of lowering the ICP and restoring proper delivery of glucose and oxygen to the brain. In the R. Adams Cowley Shock Trauma Center, decompressive craniectomy has been used successfully to relieve refractory traumatic intracranial hypertension 80 percent of the time, and achieved a survival rate of 78 percent with a favorable neurological outcome in 50 percent of such patients. The ICP correlates closely with the pressure inside both the thorax and the abdomen in patients with severe head trauma , in all likelihood because of communication between the three anatomical compartments via their venous systems. On occasion, harnessing this relationship is the only means, albeit a drastic one, of alleviating refractory intracranial hypertension in patients with severe head trauma. In a recent series of 17 such patients, abdominal decompression (opening the abdomen surgically to reduce intra-abdominal pressure) lowered ICP by nearly 50 percent, even in the absence of elevated intra-abdominal pressure preoperatively. Optimal management combining early mobilization, a multidisciplinary approach to treatment, and early aggressive rehabilitation might have saved Lincoln. However, it could not have restored his neurological function to normal. At best, he would have been left with several permanent neurological deﬁcits. Patients surviving injuries like his tend to have increased impulsivity, lack of emotional control, decreased problem-solving ability, and impaired eye–hand coordination. Given the nature and extent of Lincoln’s injury, almost certainly he also would have been left with right hemiplegia (paralysis of his right side) and homonymous hemianopsia (blindness in the right half of the visual ﬁeld of both eyes), as well as dyslexia, dysgraphia (diﬃculty writing), and dysphasia (diﬃculty speaking). However, because his frontal lobe was largely spared, his cognition likely would have remained reasonably intact. His rehabilitation would have been long and difﬁcult and at a minimum would have involved a team of professionals consisting of a physiatrist, a neuropsychologist, a speech therapist, a physical therapist, and an occupational therapist. The full extent of his recovery would have taken several years of intensive rehabilitation to have been realized. When Lincoln died, he was succeeded as president by Andrew Johnson, a Southern Democrat lacking in diplomatic skills and incapable of compromise. Johnson vetoed unsuccessfully many of the civil rights bills Lincoln would have endorsed. He also ignored passage of “black codes” by Southern states, whereby blacks were prevented from leaving current positions or owning land. He tried to force provisional governors to turn over state control to former Confederate leaders and vetoed legislation creating both the Freedmen’s Bureau, which was trying to help newly liberated blacks assimilate into a free society, and the Civil Rights Act of 1866. He also vetoed three Reconstruction acts designed to give blacks the right to vote, before Congress ﬁnally passed the 14th Amendment in 1868. If Lincoln had lived but been disabled, the situation might well have been even more chaotic, because in 1865 no provision existed for the Vice President or anyone else to take over as chief executive for an incapacitated president. At that time, the Constitution contained provisions for the transfer of such power only when a president died. Not until 1967 was the 25th Amendment passed, which speciﬁes the procedures by which the government deals with an incapacitated president. Given the extent of the damage to Lincoln’s brain caused by the bullet from Booth’s Derringer, one would be inclined to dismiss Dr. Scalea’s prediction regarding what his team might have accomplished as overly optimistic. However, the case of U.S. Representative Gabrielle (Gabby) Giffords seems to suggest otherwise. On January 27, 2011, she was shot in the head with a Glock semiautomatic pistol. A 9mm bullet entered the back of her head just to the left of the midline at almost exactly the same spot at which Booth’s bullet entered Lincoln’s head, and traveled the same path as Booth’s bullet before exiting through the front of her skull near her left eye socket. Giffords was treated according to a protocol similar to that outlined above, including removal of a portion of her skull to allow her brain to swell unimpeded, after which she participated in an intensive rehabilitation program. Now, a little over a year later, she can walk, she can speak in a halting manner, and she is apparently hopeful of one day returning to politics. Although Giffords’ case seems to validate Dr. Scalea’s conclusions, no two head trauma cases are identical. Whereas Lincoln’s and Giffords’ injuries have much in common, they also diﬀer in several important aspects. Lincoln was shot with a .44-caliber low-velocity bullet, Giffords with a 9mm high-velocity bullet. Lincoln’s bullet didn’t exit the skull; Giffords’ did. Most important, Giffords’ bullet traveled only through the left side of her brain. Lincoln’s is thought to have done so as well; however, Leale’s description of a bulging right eye suggests that the bullet actually crossed the midline into the right cerebral hemisphere, in which case Lincoln’s chances of surviving his injury, even if treated in a modern shock trauma center, much less recovering neurological function to Giffords’ degree, would be minimal. On January 4, 2006, Ariel Sharon, then Prime Minister of Israel, suﬀered a different though no less devastating brain injury—a massive stroke. The Israeli heath care system, arguably one of the best in the world, reacted quickly and decisively with a series of sophisticated interventions, hoping for the kind of miraculous recovery sometimes seen in such patients. In spite of a host of aggressive measures, including several surgeries related to his comatose state, Sharon never regained his cognitive abilities. He was placed in a long-term care facility on November 6, 2007. Six years later, he is alive but in a persistent vegetative state. However, in medicine as in politics, nothing is certain. Although under the care of a trauma team like Dr. Scalea’s Lincoln might have made a recovery as miraculous as that of Giffords, he might also have fared no better, or even worse, than under the care of Doctors Leale and Taft. As in the case of Ariel Sharon, modern technology produces tragic failures along with spectacular successes. Sometimes a life is saved only to leave the patient “to linger in dying … never again [to] speak, see, hear, or awaken into a conscious being.” It is because of such uncertainty that knowing when not to treat can be more diﬃcult and more important than knowing how to treat. This post is adapted from Philip A. Mackowiak's Diagnosing Giants: Solving the Medical Mysteries of Thirteen Patients Who Changed the World. Philip Mackowiak is a professor of medicine, and vice chairman of the Department of Medicine, at the University of Maryland. He is also chief of the Medical Care Clinical Center of the Veterans Affairs Maryland Health Care System and the author of Diagnosing Giants: Solving the Medical Mysteries of 13 Patients Who Changed the World and Post Mortem: Solving History’s Great Medical Mysteries.